As said by one of our conference speakers, the occupation of Pastor is one of the most privileged and sacred positions that one can have; a Pastor has the opportunity to share in fellow believers’ moments of extreme joy and also minister to them in their deep sadness. This does not come without a cost; there are no “superman” Pastors. As well as responsibility for the church, a Pastor must care for his family and finding this balance is a difficult task. Since 2014, ASOSAP has been working with Pastors and their spouses, coming alongside them so that they can continue serving well in ministry and grow together as a couple. This March 4-7th, the most recent conference was held. A beautiful and fruitful time together was had by all. The couples who attended are from rural communities and many had to travel significant distances to arrive at the Shekinah Center. One couple came all the way from Baja Verapaz, a neighboring department (state, province). They walked 2.5 hours from their village to the nearest town and then took a 3-hour bus ride to San Cristobal, a total of 5.5 hours travel time! This opportunity to have Life poured into them and rest from their many responsibilities is rare and they took full advantage of this, no matter the distance. This activity was made possible due to ASOSAP’s partnership with 2 churches, one in the States and one in Guatemala. 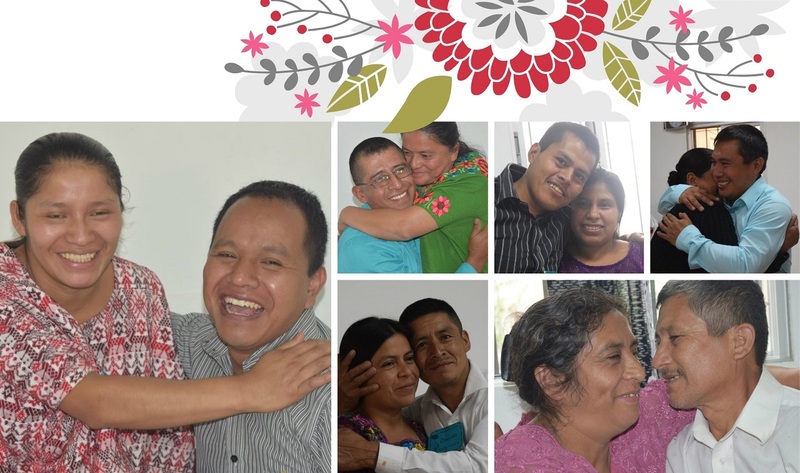 Pastor Cesar Garcia and Pastor Antonio Alvarado passionately taught these Pastoral Couples. The education was given in Spanish and translated in to Pokomchi and Quek’chi, ensuring complete understanding. Participants learned how God created men and women distinctively different from each other with Divine purpose. Through being aware of this, valuing the strengths that each has, not exploiting weaknesses, but supporting each other, and seeking God together, these couples can be a great example to their congregations. Emphasis was also given on the qualities of a man who is a Pastor and how the wife can support her husband in ministry. Husbands were also challenged to recognize the leadership qualities and strengths that women have and how they too can be used by God, along with husbands, to grow and positively impact church ministry. An important part of a healthy marriage is knowing how to Forgive when errors occur. The couples learned about the importance of asking for and giving forgiveness. One couple commented that this teaching was very impactful for them and that their marriage was strengthened through this. Another meaningful topic was Victory over Depression. Depression as an illness was defined and the common occurrence (70%) amongst Pastors was discussed. Biblical figures who experienced depression and how God delivered them through this were looked at as well. This topic greatly impacted the Pastors and their spouses. As well as the teaching sessions, the couples were truly able to relax as they were in a beautiful, peaceful setting, had their meals and lodging provided, and for those who couldn’t leave their children at home, child care was provided. There were also one-on–one counseling sessions as needed. There were opportunities to have fun with interactive games which reinforced the education. During a special evening, the couples had a romantic dinner together, complete with candles and flowers, did a craft activity together, had communion together, and had an opportunity to exchange rings (which most did not do at their wedding) and re-profess their love for each other. They were led in a time of worship by a local church worship team and it was truly beautiful seeing these couples worshiping God and experiencing His presence together. Through all of this there were smiles, laughs, tears, and affection. The couples left profoundly changed and are committed to sharing what they learned with their congregations so that others can develop more as God’s people.